BREAKING. Suzanne Kolb out as president of E! Entertainment after just 3 years; Adam Stotsky named E! new general manager. Suzanne Kolb is out as president of E! Entertainment (DStv 124) after just over three years, telling staff in an internal email that "all good things must come to an end and so must my time at E!". Adam Stotsky has been named the new general manager for E! Entertainment. Suzanne Kolb who've been at E! Entertainment for a decade writes to staff that "I know the future for E! shines bright and I look forward to cheering you on as you reach new heights". During the past year the viewership for Keeping Up with the Kardashians has been falling to lows, Joan Rivers died who powered Fashion Police, several new reality shows were cancelled after just one season each, and Chelsea Handler ended her long-running talk show Chelsea Lately after blasting E! Entertainment as "a sad, sad place to live" and that they "don't know what they're doing". Suzanne Kolb replaced Ted Harbert in July 2011 at the NBCUniversal pay-TV channel. EXCLUSIVE. SABC's Leo Manne suspended indefinitely as general manager for TV at the public broadcaster, pending investigations. Leo Manne, the SABC's general manager for TV channels has been suspended today, TV with Thinus can reveal. The SABC confirms to me that Leo Manne has been placed on suspension today, following days of media enquiries since Monday asking for confirmation when sources first told me this is happening. Leo Manne referred a telephonic media enquiry today to the SABC. The SABC confirmed that he was placed on suspension today for an indefinite period of time to allow investigations to take place. The SABC tells me there is no immediate replacement at the SABC for the position, following Leo Manne's sudden suspension. "Leo Manne has been suspended today. We don't know for how long, it's pending an investigation," SABC spokesperson Kaizer Kganyago tells me. "The person who would be acting in the position has not been decided". Kaizer Kganyago didn't want to be drawn as to the reasons why Leo Manne - who was the previous SABC1 channel head - was suspended. "Don't even go there. I'm not going to talk about any of that. This is a matter between the employer [SABC] and the employee, pending an investigation and that is where it ends". "All that you need to know is that he has been suspended pending an investigation and that's it. We cannot divulge anything else". Whether it relates to Leo Manne or not isn't clear at this stage, but according to sources who spoke about Leo Manne's suspension earlier this week before it happened today, there has been alleged irregularities regarding SABC airtime sales involving several people. Sources said earlier this week that there's unhappiness inside SABC corridors regarding various things - some of which may, or may not, relate to today's suspension. "There's been an avalanche of bad decisions including Generations, the Afrikaans news bulletin, sales commission issues, 'boys club politics and bad human resources management," one SABC insider told me yesterday and who apparently knew that a suspension was happening. 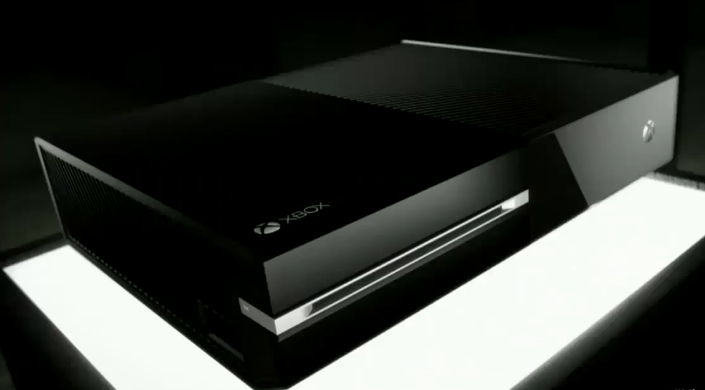 Microsoft's XBox One in South Africa launches; not able to access MultiChoice's DStv electronic programme guide (EPG). Microsoft's new XBox One console launched in South Africa is not able to give users access to MultiChoice's DStv electronic programme guide (EPG) when connected to a DStv decoder in the way that other country's digital terrestrial and pay-TV operators' EPG's are integrated and accesible through the new XBox One. A Microsoft SA spokesperson told TV with Thinus that XBox One users are able to plug their DStv decoder into the HDMI pass-through of the XBox One, although it won't allow them to control their DStv decoder from their XBox One. "This will not allow control of the DStv decoder. It will simply feed through the video signal from DStv". "With calling out 'XBox, watch TV' DStv will then play. Navigating the guide and TV channels on DStv will still require a DStv remote," I'm told. "We are in discussions with DStv to bring services to the platform but have no news to disclose at this point in time". In America and the United Kingdom Microsoft's new XBox One works well and is fully integrated with the EPG's of free-to-air as well as pay-TV providers. UPDATE 15:24 - Microsoft South Africa adds that "Microsoft is constantly exploring opportunities with various strategic partners. When any of these opportunities result in new services or products, we'll make the necessary announcements". DStv adds BET, Nicktoons and Nick Jr. as 3 new TV channels from VIMN Africa. DStv is adding Nicktoons as expected as a new TV channel from 30 September and is also adding Nick Jr. and BET to DStv. All three TV channels are supplied by Viacom International Media Networks Africa (VIMN Africa) as part of new carriage agreements with MultiChoice. VIMN Africa already supplies channels like MTV, MTV Base, Nickelodeon, VH1 Classic and Comedy Central Africa to MultiChoice's DStv. BET's spin-off channel BET on Jazz was available on DStv in South Africa for a period in the past but was discontinued. BET has been available on On Digital Media's (ODM) StarSat satellite pay-TV platform the past four years and will remain available as a TV channel on this platform according to VIMN Africa. 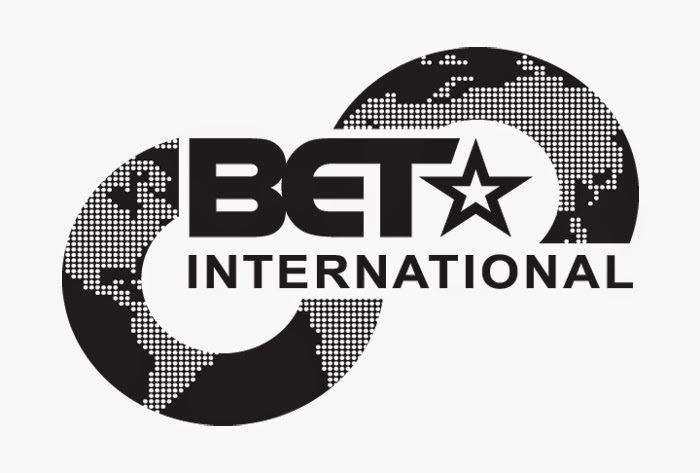 In 2008 BET was added on DStv in West African countries. In 2010 MultiChoice said BET didn't test very well, but in 2013 MultiChoice tested BET again, yet cautioned that it doesn't mean the channel will be added to DStv. BET on DStv channel 135 will be available on DStv Premium, DStv Compact, DStv Family and DStv Extra and broadcast programming like talk show The Wendy Williams Show, reality like Real Husbands of Hollywood and dramas like Being Mary Jane and 106 & Park. Nicktoons on DStv channel 308 will be available on DStv Premium, DStv Compact and DStv Extra and is aimed at children between 4 to 9 - a younger skewing channel than the existing Nickelodeon channel also from VIMN Africa. Nicktoons programming include The Adventures of Jimmy Neutron, T.U.F.F. Puppy, Back to the Barnyard, Avatar and Rugrats and The Wild Thornberrys. Nick Jr. on DStv channel 307 will only be available to DStv Premium subscribers as a youth channel targeting pre-school viewers between the ages of 3 to 5 with programmes like Dora the Explorer, Bubble Guppies and Paw Patrol. New programming will start in 2015 on Nick Jr. including Dora & Friends, Blaze and the Monster Machines and Shimmer & Shine. "We are delighted to partner with MultiChoice to strengthen our kids and family, and general entertainment offering in Africa," says Alex Okosi, the senior vice president and managing director for VIMN Africa in a statement. "Our DStv customers will no doubt be delighted that BET is finally available on their screens," says Aletta Alberts, MultiChoice's general manager for content in the statement. "Kids will be entertained for hours with the great shows on Nick Jr. and Nicktoons. We want to add channels that fill a gap in our entertainment offering". EXCLUSIVE. Sony Channel on DStv is the brand-new name of Sony Entertainment Television (SET) as the channel rebrands with a new look. The Sony Channel (DStv 127) on MultiChoice's DStv satellite pay-TV platform in South Africa and the rest of Africa is the brand-new name of Sony Entertainment Television (SET) following a rebranding and simplified renaming of the popular general entertainment channel from Sony Pictures Television (SPT). The simplified name change from Sony Entertainment Television (SET) to Sony Channel appears to be the first such rebranding of the channel which is available internationally in several countries and territories. The Sony Channel will be 7 years old in South Africa in a month and a half's time since it first launched on 2 November 2007 on DStv in South Africa. The Sony Channel became the home of highly rated series like The Amazing Race, Hannibal, Drop Dead Diva, NCIS, Friends, CSI and several American talk shows. 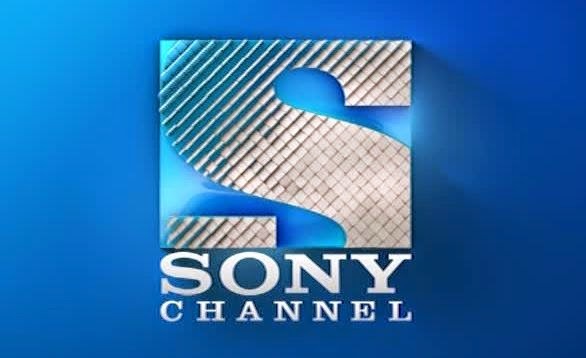 According to sources the rebranding of Sony Entertainment Television only pertains to the Sony Channel, not sister channel Sony MAX (DStv 128). The new on-air look of the Sony Channel made its debut this morning just after 06:00 on DStv during The Arsenio Hall Show with beautiful new multi-coloured on-air idents to signal and indicate different programming genres. Blue signify comedy, red signify drama, green signify reality and yellow is now used for movies. The former three-tiered name in white is now shorter and stacks over just two lines, saying just "Sony Channel", having done away with the long "Entertainment" and "Television" for a simpler, cleaner appearance whilst maintaining the Sony "S". The new Sony Channel logo and on-air imaging utilise shiny, high-gloss, flipping "micro tiles" to create a "wave" effect and looks beautiful. BRILLIANT. Robyn Curnow is anchoring on CNN International - and the result couldn't be more ... unexpectedly amazing. "Shock" would probably be a good word to describe watching Robyn Curnow as an anchor on CNN International (DStv 401). Not that anybody thought that South Africa's Robyn Curnow wouldn't be able to make the transition from CNN correspondent in Johannesburg to behind the anchor desk at CNN International, but her simply tour de force presentation and delivery with gravitas is simply brilliant to behold. Robyn Curnow anchored The World Right Now on Monday night on CNN International and if you had to find even the smallest fault it would be that she was too good. Brilliant in fact. Full disclaimer: Robyn Curnow is South African and this writer and TV critic happens to be a South African too. Yet I'm not saying Robyn Curnow as a CNN International anchor is amazing because of any country or nationalistic affiliation or affinity. It's because she really is. It's quite surprising seeing Robyn Curnow coming across as incredibly solid, hugely grounded, looking terrifically at ease, exuding a massive amount of confidence (not in herself but in delivering the news and interviewing news makers) and taking it all in her stride. What's so incredible, is that Robyn Curnow comes across as if she's been doing it for years. Her anchoring on CNN International blends freshness and a nuanced, yet natural newsey relatableness. Her questions of news makers and other CNN contributors and correspondents were succinct, clear and on point. On Monday night it felt and looked as if Robyn Curnow was an Olympic swimmer. One who've been swimming and practising for years and who suddenly got dropped in a new bigger pool - yet one who completely unperturbed, is still swimming laps around everyone else. As a viewer watching, it not only felt as if Robyn Curnow was driving the car, you felt instantly "safe" in the car - and it felt as if the car is going somewhere, not just aimlessly trying to go forward another mile, trying to fill another 10 minutes of satellite TV air. There was sense, there was purpose, there was direction. Whoever decided to elevate Robyn Curnow from CNN correspondent to CNN International anchor made the right decision. This TV critic thought it would be a huge loss for South Africa and CNN International to lose her amazing background knowledge, contacts and skill set on the ground in Johannesburg, especially after her superb ongoing reporting from South Africa especially during the tumultuous, numerous big news events of 2013. Yet it turns out that Robyn Curnow as CNN anchor is just as good as Robyn Curnow the CNN International correspondent - in a really great new way. Sometimes, some people are just able to fit various different molds all well - like the head girl who also "just" happens to be the captain of the netball team, who also "just" happens to be the academic dux pupil. Until you realise "just" has nothing to do with it. Perhaps hours and hours of practice, on-air anchor coaching and lessons to discern a cat baby meow from 15 other voices all screaming and talking and the same time in an earpiece took place. Perhaps none or very little. What's undeniable is that Robyn Curnow is instantly, fully, solid CNN International TV news anchor material. Strikingly so. Generations head writer and co-producer Bongi Ndaba out as dramatic changes continue behind the scenes at embattled Mfundi Vundla soap. Bongi Ndaba who was the head writer and co-producer at the embattled Generations on SABC1 is out and gone as the dramatic and controversial changes continue behind the scenes of the biggest TV show on South African television faced with an uncertain future. The SABC on late Friday announced that Generations will abruptly cease broadcasting further episodes for months from October since there aren't any episodes left after September. It will be the first time since 1994 when the highly popular soap started that the most lucrative and most watched TV show on South African television will be off the air due to major production disruption. With the Generations episode cupboard bare, the unexpected disappearance of the soap from the SABC airwaves, the firing of the entire principal cast and now the loss of the head scriptwriter represent the biggest TV programming upset to ever hit the beleaguered South African public broadcaster, impacting millions of viewers. The fired Generations cast is now taking the SABC and MMSV Productions to the CCMA, while producer Mfundi Vundla said he would never take any of the 16 principal cast members back. The Generations cast which formed the Generations Actors Guild (GAG) went on strike and was promptly fired after demanding the three year contracts the SABC's famously matricless chief operating officer (COO) Hlaudi Motsoeneng personally promised them in June 2013 and which never materialised. They also wanted better pay rates and residual payment for rebroadcasts of the show promised in their existing contracts which they've never received. The SABC on Friday called the disappearance of Generations - which lures an average of 8 million viewers and commands the highest advertising spot price for a 30 second commercial of R220 000 - part of a "minor schedule change". Now Generations also lost the soap's head scriptwriter and viewers will be left with multiple unresolved cliffhangers on 30 September while with producer Mfundi Vundla and MMSV Productions planning a "Generations - The Next Generation" type soap to "resume" from December on SABC1. Bongi Ndaba who became head writer in mid 2012 and had been with the show for 8 years, suddenly resigned last week from Generations. She gave no reasons as to why she jettisoned the soap. Thato Molamu who played Nicholas in the soap is the father of Bongi Ndaba's 4 year old son and is co-incidentally also one of the 16 actors who got fired from Generations. He is now the presenter of the SABC2 game show What's Behind the Wall? In an interview in 2012 with Sunday World Bongi Ndaba said "I love Generations. I'd hate to work on a series where black people are shown kicking and stabbing each other. This shows blacks in a positive light. It's inspirational." In the meantime TV industry experts expect SABC1 viewership to plunge from October when the perennial number one most watched TV show and soap on South African television disappears from the schedule. The loss of Generations for months from SABC1 - and which was unplanned - will negatively impact the SABC's television audience share during primetime, advertising income, as well as the quota of original local content produced and being broadcast on the SABC. The shocking backstage drama which the SABC's top management, TV executives and MMSV Productions have been unable to properly and speedily manage and resolve, already inflicted massive brand damage on the SABC, SABC1 and the production company since Generations is the public broadcaster's flagship show. In July, when the SABC announced new schedules for SABC1, SABC2 and SABC3 the broadcaster boldly stated that Generations will remain in the primetime spot of 20:00. Leo Manne, the general manager for TV channels at the SABC told the press in July that "nothing touches Generations. We dare not move it". Now the soap will not move but completely disappear for months from SABC1 - forcing viewers to sample alternative programmes on competitor TV channels ranging from the growing number of community TV stations like SowetoTV to popular pay-TV channels from M-Net like Mzansi Magic on MultiChoice's DStv. As some of these viewers form new TV loyalties and solidify new viewing habits as they migrate elsewhere during primetime, the SABC stand a very real change of losing a large portions of viewers it will never get back. SABC dumps Generations from SABC1 as show runs out of recorded episodes following firing of cast; SABC plans new show from December. The SABC has been forced to shelve the public broadcaster's biggest revenue earner, admitting that Generations will disappear from the SABC1 schedule from October, calling it part of a "minor schedule change". This follows the strike of the principal cast last month who were promptly fired by Mfundi Vundla and MMSV Productions with the permission of the SABC. It follows months of unhappiness behind the scenes for the actors after the SABC's controversial and famously matricless chief operating officer Hlaudi Motsoeneng in June 2013 promised the cast three year contracts. The actors banded together and demanded the promised contracts, better pay rates and better working conditions and were fired. The Generations Actors Guild (GAG) as the actors organised themselves, told me late Friday afternoon that they have now filed papers with the Commission for Conciliation, Mediation and Arbitration (CCMA) for re-instatement. "We've been clear that we are open to negotiation and discussions – but were resolute in our commitment to transforming unfair industry practices". GAG says no negotiations or meetings with the SABC have taken place. The TV industry remains in shock, closely following the nasty and high-profile real-life soap opera playing out publicly and which has kept the local showbiz tongues wagging. An incredulous TV industry still can't believe that SABC management has been unable to salvage the situation and keep its number one flagship programme. The SABC will no longer be able to guarantee the average of 8 million viewers tuning in on weeknights at 20:00, and will, therefore, no longer be able to command the impressive R220 000 spot price per 30 second ad break during the show – the highest ad rate on any of the SABC's TV channels. Meanwhile, Cosatu's pleas for viewers to boycott the show last week fell on deaf ears. Viewership since last Monday surged by an average of 200 000 viewers more than before the SABC's Generations scandal started and the production of daily episodes imploded. 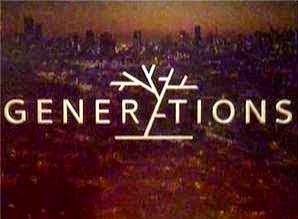 Viewers are desperate to catch the last remaining episodes and late on Friday the SABC confirmed that Generations is disappearing from the SABC1 schedule from October for months – the biggest single programming disruption to the SABC Television schedule since television started in 1976, given the duration and the sizeable audience affected. South African TV soaps film episodes around a month in advance, and Generations is fast running out of the last existing episodes. The last remaining episodes will be shown the next week and a half and is set to end abruptly with several unresolved cliff-hangers. The SABC calls it "minor changes" and says Generations "will be revamped" after the 16 actors "were terminated by MMSV Productions". "From Wednesday 1 October Generations will be off screen until December as new episodes are filmed," says the SABC. The third season of Skeem Saam will now be broadcast at 20:00 from October. Generations will no longer be repeated on SABC3. Instead, Muvhango will be repeated daily on SABC2, and Muvhango will then also repeat on SABC3 in the Generations timeslot from October. The SABC says it "would like to appeal to the public to be patient as we deal with the challenges currently faced in ensuring the longevity of Generations". Interestingly the SABC is also returning the Afrikaans TV news from SABC3 back to SABC2 from 3 November after the broadcaster shunted the bulk of its Afrikaans programming from July from SABC2 to SABC3 which has a much smaller broadcasting footprint in a highly controversial move, which caused a public outcry. The SABC says the Afrikaans news will be back at 19:00 on SABC2 from 3 November. The SABC says the "shifting of news programming is a result of the SABC listening to its audience's feedback". Expresso celebrates its 1 000th episode as SABC3's weekday morning breakfast show. Expresso, SABC3's weekday breakfast show, is celebrating its 1000th episode this morning since it started on 4 October 2010. Presenters Katlegoe Maboe and Ewan Strydom are still part of the on-air talent team and have been since the beginning. "We've had 1 000 feel-good mornings," says Ewan Strydom. "Expresso was a complete blessing in disguise for me and for my family. I am very proud of the team who has worked so hard to bring these feel-good mornings to South Africa". "Expresso has become a special home to me and we've become part of people's families," says Katlego Maboe. "It's quite something to know that we are part of a team that did groundbreaking work reintroducing lifestyle entertainment to the morning. It's fantastic to bring this show to people every day and to do it with such a diverse team is an honour". "There's nothing like Expresso on local television and its ability to stay relevant, entertaining and informative each and every day has been a big factor in its success," says Aisha Mohamed, SABC3 channel head. "It is definitely a perfect example of being able to find something for everyone on SABC3 and we congratulate the production team on this wonderful achievement". BREAKING. Altech Node launches in South Africa as brand-new video-on-demand (VOD) consumer console to compete with DStv, VIDI. Altech is launching the Altech Node in the suddenly white hot video-on-demand (VOD) market with South African consumers and TV viewers who will be able to buy the VOD console, using MultiChoice's DStv dish, from Friday at R3 499, and giving access to 700 hours of entertainment. The launch of Altech's Node comes a week after the launch of Times Media Group's VIDI with Node viewers who won't suffer buffering issues like VIDI and who will also be able to watch the latest movie releases as well as library TV shows. Altech didn't release a list of the TV programming and movies available at launch and didn't respond with a list to a media enquiry seeking a list on Thursday. (Altech didn't make the Node device available for testing ahead of the launch to national TV critics who were not invited to, nor told of, the launch event on Thursday evening). With MultiChoice's DStvBoxOffice on the one side of the spectrum, Times Media Group's VIDI on the other side and Altech's Node in the middle of the existing - and suddenly exploding - VOD market, South African consumers and viewers suddenly have a lot more choices and options. Like DStv BoxOffice on the DStv Explora and HD PVR the content on the Node console is updated through satellite and stored on the 1TB internal hard drive and viewable in 1080p high definition (HD). Unlike VIDI, Node users won't have to pay for massive internet downloads to watch the actual video content. Like DStv Catch Up and unlike VIDI, the Node includes video-on-demand sports content (80 episodes at launch). It's not live sports content but packaged content. Node will have 200 hours of TV series at launch, 140 movies at launch, 150 hours of kids programming, 150 hours of documentaries, and 30 hours of current affairs programming that can be watched instantly. Altech's Node will carry 7 to 10 new movie titles per month at any given time available for rent, as well as 100 titles per year. In the subscription library there will be 140 movie titles which are available to watch at any time and which doesn't require an additional payment. These will be refreshed at a rate of 10% to 15% per month, says Altech in a press release. Altech's Node will work with any TV set that has HDMI ports, and the Node console itself has 3 HDMI ports. Besides the R3 499 cost of the console which includes free installation and which people will be able to buy from Friday at Altech Autopage Cellular, Cell C, Dion Wired, Game, Hifi Corporation, Hirsch's, Incredible Connection, JetMart, Makro and Pick n Pay Hyper, there is a monthly subscription fee of R299. This R299 monthly subscription fee gives the user access to the majority of the library content on the Node which regularly is cycled through and replaced just like on DStv BoxOffice on DStv PVR decoders. Similar to the licensing rights agreements of DStv and DStv BoxOffice and VIDI, Altech has licencing rights agreements with Hollywood studios which include Sony, Disney, MGM and Universal. On the Node the latest blockbuster movies cost R25, compared to the R27 for DStv BoxOffice and R27 for VIDI. This R25 will be in addition to the R299 monthly subscription fee. Like DStv BoxOffice and VIDI, a movie on Node remains available for a 48 hour period to watch. Older movie titles on Altech's Node will cost R15. Subscription and rentals of and through the Altech Node can be paid by using debit and credit cards or Altech's Eyenza wallet. Older non high definition (HD) content will have a higher bit rate on Altech's Node says the company "to ensure the content still looks great in an HD screen". "Sound is delivered through 5.1 Dolby. YouTube videos will stream at a minimum of 720p resolution". "Node is much more than video-on-demand," says Craig Venter, Altech CEO, saying that Altech's Node is "like a DVD store in your home". "It is an entertainment hub, a streaming server, a Wi-Fi hotspot, an e-commerce platform". "It is the most sophisticated home gateway in the world and is a true reflection of Altech's mission to provide its customers with value-added products, services and solutions through the convergence of telecommunications, multimedia and information technology". Movies and library TV series will be updated monthly as older content is replaced with new releases and other TV shows. The Altech Node come with a built-in 3G modem which enables users to buy data, airtime and pre-paid electricity and pay for municipal services like Eskom and Telkom through using the device. The Node also allows for consumers to download Android apps, access the internet, access their email and to control certain home appliances through what Altech calls "Node branded Smart Plugs". Altech's Node comes with a built-in media player, MyMedia, which allows content to be played off other devices, such as the Altech Node branded USB flash drive. The Node's Wi-Fi- functionality also enables an environment to be turned into a Wi-Fi hotspot where up to 5 devices like the TV set, computer, smartphone and tablet can be connected to stream content to these devices. Node users who have DStv or had DStv won't need to install a new satellite dish since Altech's Node makes use of the same Intelsat-20 satellite, which means that a existing DStv dish is already aligned. Although installation cost is included in the R3 499 price, Altech says the Node is easy to install. "Users can do it themselves, even with the most rudimentary technical skills, and install their own automation and security equipment". Users will have to pay for the data used of the internet return path which enables the rental of titles and on demand content. "Node has been designed to connect to both Wi-Fi and ethernet networks," says Altech. "Node can also function as a wireless internet access point or hotspot, providing connectivity through its 3G modem. Node does not consume data for movie and series downloads but will consume data for internet access activity and any purchases made". Node can access the internet through its 3G modem which Altech says is powered by Autopage Cellular. "However you will need a SIM card and your data cost will be in addition to the Node subscription". "While there are other products currently on the market that offer aspects of Smart TV and video-on-demand content, Node is the first comercially available product that offers a complete, integrated package, incorporating elements of Smart TV and smart entertainment together with a smart home solution," says Altech. As to why Altech chose satellite downloading like MultiChoice does with DStv BoxOffice to the DStv Explora and HD PVR, Altech says "even though fibre internet is fast and exciting, it is also a new arrival to the South African market". The Altech Node is however fbire ready with an ethernet and USB modem port. "Fibre internet is still expensive and can consume a lot of data, which may lead to excessive data costs depending on the customer's internet service provider package. By employing cost-effective and reliable satellite systems, Node can ensure content that is always available for instant play without any time-delays and costly surprises". EXCLUSIVE FIRST LOOK. 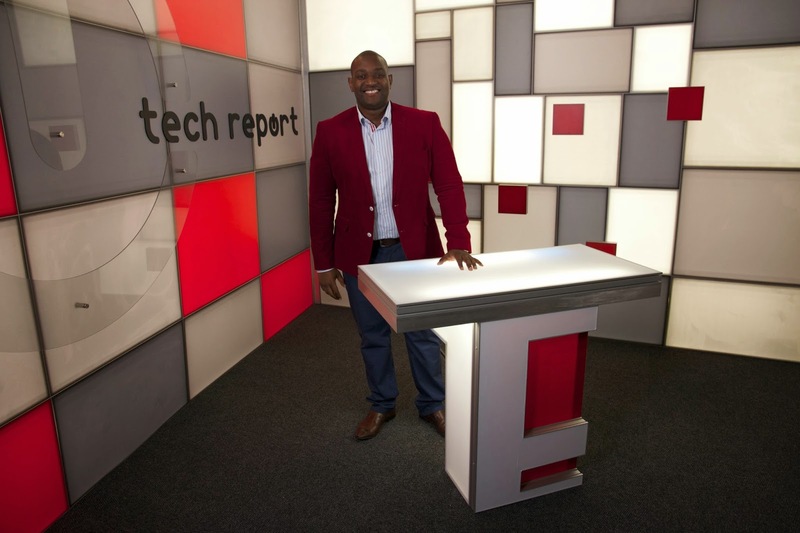 Tech Report on eNCA celebrates 150 episodes with a brand-new on-air look and colour scheme. 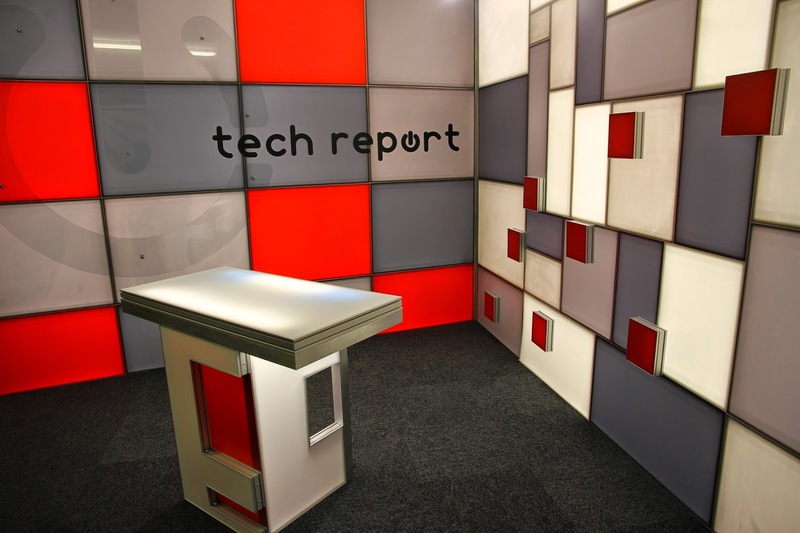 Tech Report is celebrating the show's 150th episode tonight at 21:30 on eNCA (DStv 403) as the well-produced South African go-to show for consumer technology and gadgets gets a red, black and white makeover and a whole new look. Tapfuma Makina remains the anchor, with the funny and quirky set of presenters Seth Rotherham, Jason Greer, Juliet McGuire, Grant Hinds, Clive Maistry and Thenjiwe Stemela. From tonight eNCA viewers will see a new set, title sequence and some new presenters for Tech Report as the blue-on-white on-air look is being replaced with a new and edgy red-on-black treatment. 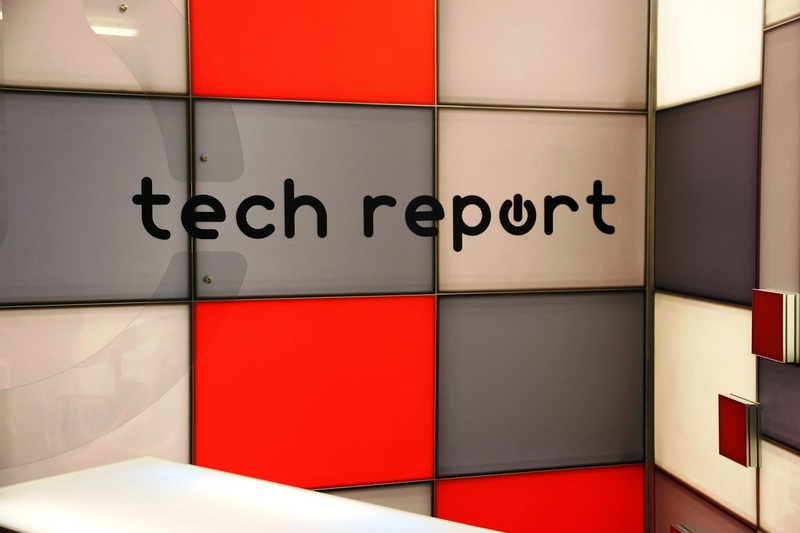 Tech Report, produced by Homebrew Films, will continue to bring viewers the latest technology news and gadget reviews, game reviews, phones, tablets and apps testing as well as insight on tech trends shaping South Africa and the world. 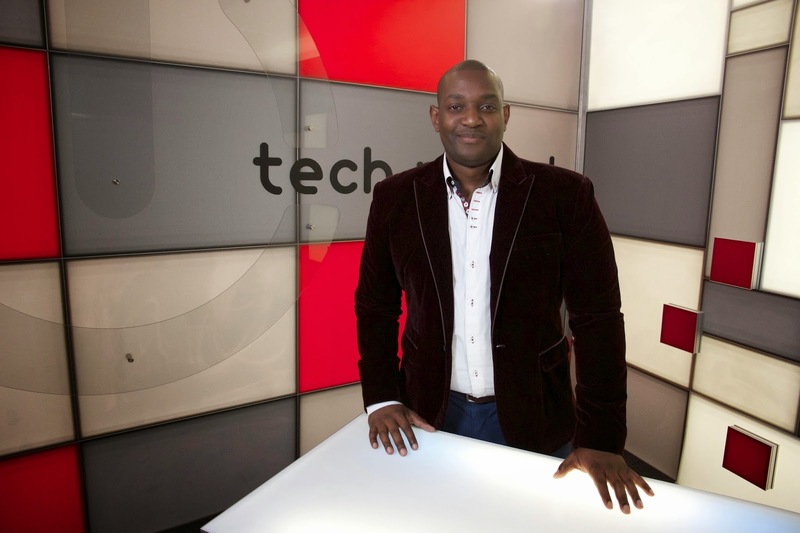 Tech Report which has become a leader in tech and innovation news in South Africa says the weekly magazine show has garnered a significant following the past three years on eNCA and is looking forward to many more. EXCLUSIVE FIRST LOOK. The VUZU AMP channel logo - with a 'stroke of genius' - takes the existing VUZU logo one fat line further. TV with Thinus can exclusively reveal the brand-new channel logo of VUZU AMP, the new general entertainment TV channel from M-Net that will start on MultiChoice's DStv satellite pay-TV platform for DStv Premium subscribers on 13 October at 17:00. VUZU AMP will start on DStv channel 114 on the channel where M-Net Series Reality previously was. The VUZU AMP logo design is very clever - cleverly taking the existing VUZU logo, which will remain a TV channel, and "enhancing" it with one broad stroke. With one fat line down - lets call it literally a "stroke of genius" - the existing VUZU logo cleverly adds and becomes a sideways "A" at the end for the "Amp" part (or an inverse "V") (or a long shadow) (or a doubling up of the existing image, meaning more VUZU). Besides the very smart and simple symbol extension, VUZU AMP also adds a slogan: "Out of this world TV". Sky News' Kay Burley apologises for calling Scottish independence campaigner 'a knob' live on air who tried to hit cameraman with a stick. Sky News' (DStv 402) Kay Burley is apologising after calling a Scottish independence campaigner "a knob" live on the air after the man tried to hit her cameraman with a stick. Sky News has been doing extensive coverage of the Scottish referendum taking place today in Scotland, and yesterday Kay Burley was live on Sky News in Aberdeen when she called a man "a knob" on live television. It happened after Kay Burley was constantly being heckled by a Scottish independence campaigner, and wasn't aware that her mic was live. Afterwards she apologised for the "poor language" and said that it was a "challenging environment" and that someone wanted to hit her cameraman with a stick. BREAKING. E! Entertainment to honour Joan Rivers with 90 minute Fashion Police Special on 20 September followed by all day marathon. E! Entertainment (DStv 124) will be celebrating the life of comedienne and caustic fashion critic Joan Rivers with a special 90 minute Fashion Police special programme on Saturday 20 September at 21:00 entitled Fashion Police: Celebrating Joan, followed by an all day Fashion Police marathon on the channel on DStv. The 90 minute Fashion Police special will be recorded from the home of daughter, Melissa Rivers, with the Fashion Police panel - Kelly Osbourne, Giuliana Rancic and George Kotsiopoulos - all appearing and telling funny stories and sharing behind-the-scenes gossip. The special will show the most hilarious and most outrageous moments caught on camera over the years the show has been running on E! Entertainment. The panel will share personal stories, behind-the-scenes special footage, as well as never-before-aired segments in which viewers can see how Joan often candidly joked with the cast as well as with the studio audience. The 90 minute Fashion Police special will be followed by an all day marathon of Fashion Police episodes with the best jokes from Joan Rivers, including the episodes which celebrated her 80th birthday, and the very last one she did covering this year's MTV Video Music Awards and the Primetime Emmy Awards. BREAKING. After the fire, Big Brother Africa Hotshots to start on 5 October; reality show finds new production house facility in Johannesburg. Big Brother Africa Hotshots will now start on 5 October, with the Endemol South Africa produced reality format show which has found a new location and production facility in Johannesburg following the devastating fire at Sasani Studios' stage 1 two weeks ago. The upcoming 9th season of Big Brother Africa entitled Hotshots was postponed when a blaze destroyed cameras, glass, other equipment, and damaged props, walls, the roof and other instrumentals on 2 September. Endemol South Africa and M-Net quickly scouted various locations in an emergency exercise - including looking at London and the Big Brother House outside Jerusalem in Israel, but decided to remain in South Africa and make do, so as to lessen exorbitant production costs and insane and intricate visa regulations. Changed South African visa regulations and Ebola fears from West Africa already damaged the upcoming season which first saw the chosen Ghana contestants dumped from the show, followed by Sierra Leone and Rwanda being eliminated from the season before housemates had even entered the house. To go through a protracted process to secure visas for African contestants, South African crew and equipment proved too difficult and too high a hurdle for the producers who settled on a studio in Johannesburg. 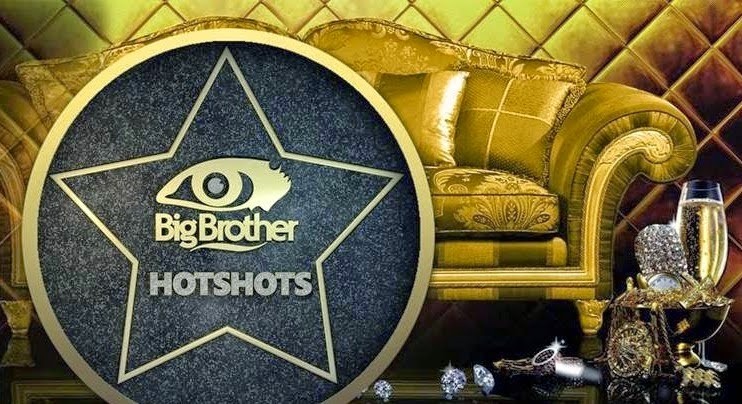 Big Brother Africa Hotshots will now start on Sunday 5 October at 19:00 on two dedicated MultiChoice channels on DStv across Africa, with regular highlight programmes on M-Net's AfricaMagic Showcase channel. DStv's Oscar Pistorius Trial TV channel from Combined Artistic Productions dumps bad green screen, adds new desk, back panels. It wasn't Judge Masipa ordered, but Combined Artistic Productions dumped the terrible green screen idea and made it a real TV set again - with a beautiful new desk and back panels - when the M-Net provided Oscar Pistorius Trial TV channel (DStv 199) resumed yesterday and concluding its coverage today. The Oscar Pistorius Trial TV channel in its final two days of broadcast on Thursday and Friday looked "right" again - a sophisticated, real, credible studio and presentation instead of the shocking trashed down virtual monstrosity the beautiful original set was suddenly and inexplicably reduced to during July. The Oscar Pistorius Trial TV channel on DStv produced by Combined Artistic Productions responsible for Carte Blanche on M-Net started off with a simply beautiful set in March - white, vast, sleek, multi-purpose and wonderful to look at. It's long gone now. Then it shamefully dumbed down the beautifulness with a small boxed in horrible green screen corner, completely unbecoming and unfitting for what the channel itself called coverage of the "biggest South Africa court case this century". When the channel "popped up" for the last time on Thursday, the bulk of the terrible badness was gone. No green screen, no staccato camera angles. The Oscar Pistorius Trial TV channel's set was once again good.Not as great as when it started, but back to being above average after the dismal failure during the middle. The Oscar Pistorius Trial TV channel resumed with a Star Trekkian type desk - beautiful! - replacing the "ship sail" design desk which was also beautiful and functional, and a blue mosaic wall panel design was added to give very nice dimension in a good blue hue to the backdrop as it mimic TV panels. Other mistakes like the ridiculously incorrect and totally untrustworthy DStv EPG during the middle phase of the channel's run is now also fixed and corresponds with the actual on-air programming. SABC's SABC News such a mess that two of president Jacob Zuma's wives are invited to The Newsroom, who then start fighting with each other. 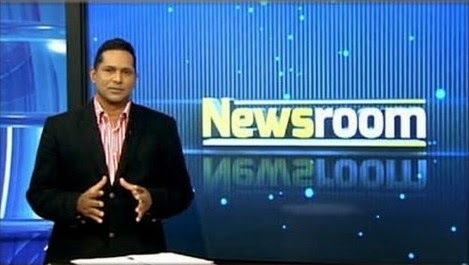 The SABC's guest booking at SABC News (DStv 404) is such a mess and the internal communication so bad that two of president Jacob Zuma's wives were invited as guests to Eben Jansen's The Newsroom - with both who showed up and then started fighting with each other in front of SABC staff, and then both left leaving SABC News and the show with none to interview. The Mail& Guardian reports that Bongi Ngema and Tobeka Madiba both showed up for the very same interview, on the very same programme on SABC News' The Newsroom, about the very same topics - without ever having been told about each other by the SABC, after both were invited. The women starting fighting with each other and screaming in Auckland Park in full view of staff and then accused the SABC of setting them up. They both left after the highly embarrassing booking blunder of the SABC's 24-hour TV news channel. The Newsroom wanted one of the wives to talk given that it was Women's Day. The SABC's head of TV news, Jimi Matthews, apparently had to intervene but both women left since neither wanted to appear on the SABC and the SABC News channel after the incident. Since president Jacob Zuma and Hlaudi Motsoeneng, the SABC's controversial and famously matricless chief operating officer (COO) has close ties, one of president Jacob Zuma's wives even threatened to call Hlaudi Motsoeneng directly to complain. "It was ugly and embarrassing," a source told the Mail & Guardian. Disney explains why its now targeting little kids on DStv as young as 4 with TV commercials, says MultiChoice is supportive of the change. The Walt Disney Company in South Africa is explaining why the Mouse House is now going to be targeting small children as young as 4 watching Disney's TV channels on DStv with commercial advertising, and says MultiChoice is supportive of the change. It comes after news that Disney will now do commercial advertising to children on its previously ad free channels Disney Channel (DStv 303) and Disney Junior (DStv 309) in conjunction with DStv Media Sales and Disney's Disneymedia+ which will be specifically targeting the audience of very small, pre-school children. DStv Media Sales, MultiChoice and Disney are now ready to put commercial TV adverts in front of little eyes on channels which DStv subscribers have come to trust not to carry the crass commercial considerations found on other kids channels with a reputation less sterling than the Disney brand. The two Disney channels - one aimed at young kids and teens and the other at toddlers and pre-school kids - will start running commercials from November. "Disney XD has carried commercial advertising since its launch in South Africa in 2011 and now Disney Channel and Disney Junior will follow," Disney tells TV with Thinus. "Disney Channels carry advertising in many other markets worldwide," says Disney. Disney says the Disney Channel and Disney Junior will now also start to carry TV commercials because "DStv airs other children's channels that have carried commercial advertising for some time so the platform's audience is used to seeing advertising on children's TV". Disney says DStv and MultiChoice "are supportive of this change". How will DStv choose what advertising will be run? "The Walt Disney Company Africa decides which advertising runs on its channels and we have strict internal guidelines on the type of advertising we carry. In all instances, advertising must comply with relevant local and international legislation," says Disney. Asked if there's advertising that DStv won't run, Disney says "advertising which is not appropriate for Disney's children and family audience will not appear on the channel". "In addition, as part of Disney's commitment to support families' desires to lead healthier lifestyles, Disney will not accept advertising from brands which do not comply with its healthy living guidelines. This is a policy that is already in place for Disney XD". TV with Thinus asked why DStv and Disney are now allowing advertising on Disney Junior to be shown to very small children. "Disney takes its commitment to its viewers extremely seriously and we will be especially careful as we do not want to betray the trust that so many families have in us". "All advertising appearing on Disney Channels including Disney Junior, will be vetted to ensure it is age and family-appropriate and conforms to both local guidelines and relevant international guidelines such as BCAP and CAPCODE, as well as our own internal guidelines". In June this year MultiChoice and Disney were fined R5 000 by the Broadcasting Complaints Commission of South Africa (BCCSA) for showing a horror promo to young children without the proper age restriction. The BCCSA in its judgment said that "the rights of parents and caregivers of smaller children have been violated" by Disney and MultiChoice and that parents and caregivers have the right to be informed about the nature of material to which their children are exposed to on television. Soccer star Mark Haskins joins e.tv's Sunrise morning breakfast show as new sports anchor. Mark Haskins, the former Moroka Swallows midfielder has joined e.tv's Sunrise as the new sports anchor and will be making his first appearance on Monday 15 September on e.tv's weekday morning breakfast show. Mark Haskins is the next sports anchor in a rolling door of sports anchors and morning presenters on Sunrise struggling with stability in terms of on-air talent in the show broadcast between 06:00 and 08:30 on weekdays. Sunrise has seen a constant roll-over and churn in new faces coming and going and making it difficult for viewers to relate and to get to know and grow with the morning show. It's not clear what the duration of Mark Haskins' contract with Sunrise is. Given the abrupt departure of the previous sports anchors, none of whom lasted longer than a year after big fanfare announcements, Mark Haskins and Sunrise have a high bar to cross to win viewers' loyalty and trust. "Securing the services of Mark Haskins is a great addition to the Sunrise anchor team and he brings with him a wealth of experience," says Nicholas Maphopha, Sunrise executive producer in a statement. "He is an avid follower of anything sports and I believe that his passion not only of sports but for the country will be greatly welcomed". Mark Haskins says "it is a daunting change of scenery but I've always enjoyed a challenge and I love pushing boundaries. e.tv and particularly the Sunrise team have made the transition a whole lot easier". "I fully commit to anything I work on and I will be giving my very best to be relevant on this platform and make a positive difference". M-Net Edge starting on DStv on 20 October and VUZU AMP starting on 13 October at 17:00 for DStv Premium subscribers. M-Net Edge (DStv 102) will launch on 20 October at 19:00 replacing the discontinued M-Net Series Showcase on MultiChoice's DStv satellite pay-TV platform, while VUZU AMP (DStv 114) will start on 13 October at 17:00 in the place of the discontinued M-Net Series Reality. M-Net Edge, a sister-channel to M-Net on DStv channel 101, will be the more risque family member and will only broadcast for 11 hours per day - from 18:00 to 05:00. Vuzu shows like the entertainment news staple V Entertainment, 10 over 10 and Dineo's Diary is apparently also moving from Vuzu to VUZU AMP. "M-Net Edge and VUZU AMP are taking the curation of top-notch premium television content to an exiting new level," says Yolisa Phahle, M-Net's CEO for South Africa in a statement announcing the two new M-Net channel's names. "As there is now more choice than ever, it is important to create channels that are clearly positioned, allowing viewers to find what they feel like [watching] as fast possible," says Yolisa Phahle. "Both channels will schedule a combination of first-run programming and iconic shows with schedules designed to correlate with the latest worldwide viewing trends". SABC furious over hilarious 'sabotage' notification in Auckland Park's old and broken lifts; explains why its First Citizens have to wait for a ride to the top. The SABC is furious over an unauthorised message from a Fawlty Towers employee which it calls "an act of sabotage" - a notification which an SABC staff put up in the South African public broadcaster's decrepit lifts and which many employees didn't realise was a joke - to great hilarity of others. With most of the SABC's lifts and escalators that's over 40 years old and in many instances falling apart and often breaking down, staff tell TV with Thinus that personnel often "wait up to 10 minutes for a lift". "SABC lifts inside Auckland Park often are often not working, with out of order lifts leading to big frustration," quipped an insider. "At least there's still some people with a sense of humor at Fawlty Towers," said one. Recently an SABC staff member put up the notice above inside an SABC lift, properly addressing SABC employees and lift users as "First Citizens" - exactly how the SABC address its staff. 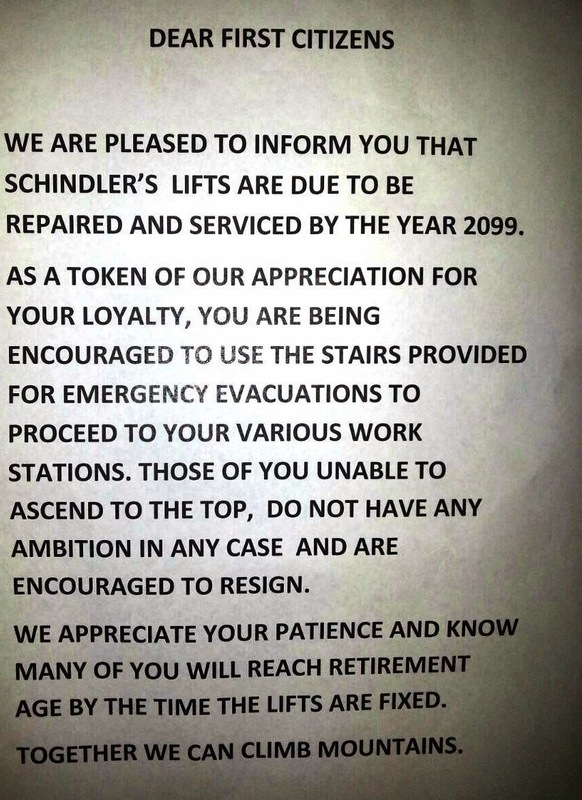 "We are pleased to inform you that Schindler's Lifts are due to be repaired and serviced by the year 2099," says the "notice" which some SABC staff mistook for the real thing. "As a token of our appreciation for your loyalty, you are being encouraged to use the stairs provided for emergency evacuations to proceed to your various work stations". "Those of you unable to ascend to the top,do not have any ambition in any case and are encouraged to resign," the fake notification told SABC staff. "We appreciate your patience and know many of you will reach retirement age by the time the lifts are fixed. Together we can climb mountains". In the internal news letter to staff, a copy of which TV with Thinus obtained, the SABC addresses the lift humour, calls it an "act of sabotage" and threatens the Park's first citizen responsible for the dastardly deed with disciplinary action. "We are currently experiencing an abnormal amount of lift outages at this time and as First Citizen you are requested to be patient. The situation is getting a necessary intervention," the public broadcaster informed its "citizens". "There are 39 lifts and 4 escalators in use on the Auckland Park premises. Most of these lifts and escalators were installed as far back as 1972 making them over forty years old. Due to their age parts are extremely difficult to obtain and in some instances they have to be re-manufactured." "This causes long outage periods and affects the reliability on these lifts and escalators. This is the main cause of our First Citizens having to wait for lifts". The SABC powers that be requested its first citizens to please report lift problems "in and around their work" as soon as they become aware of them. It's important to get a reference number which must be kept for all future references. The SABC said that a tender for the renewal of the Auckland Park lifts and escalators is under evaluation stage "and soon the new maintenance contractor will be appointed" and that the renewed lifts and escalators "will substantially improve the availability of the lifts". "We are aware of an earlier unauthorised message sent to create confusion. Management regards this message as an act of sabotage and anyone found to have made such remarks will be liable to a disciplinary action". Oscar Pistorius live TV coverage ramping up on Thursday and Friday to bring South African TV viewers the judgment and analysis, as it happens. Coverage of the conclusion of the highly sensational Oscar Pistorius murder trial will be ramping up on Thursday and Friday 11 and 12 September on South African television as live court TV coverage resumes on the trial that gripped a fascinated world. As judgment and a verdict from Judge Thokozile Masipa is delivered in the trial of the paralympic athlete who shot and killed his girlfriend Reeva Steenkamp last year on Valentines Day, 14 February 2013, the Oscar Pistorius Trial TV channel on MultiChoice's DStv satellite pay-TV platform will go live again on DStv channel 199, and eNCA also has live coverage as well as special programming. Neither SABC News (DStv 404) nor ANN7 (DStv 405) issued any coverage and broadcasting or programming advisories. For the first day of judgment, Thursday 11 September, eNCA will start its live broadcast at 06:00, with live coverage from outside the court and near Oscar Pistorius' uncle's home. Judge Thokozile Masipa's judgment will start at 09:00 on Thursday. eNCA anchors will speak to specialist reporters Karyn Maughan and Annika Larsen for analysis outside court before and in-between the court proceedings. On Friday, 12 September, eNCA will go live again at 06:00 and court proceedings will be shown at 09:00 until judgment time, expected in the afternoon. Coverage will continue post the judgment throughout Friday evening. 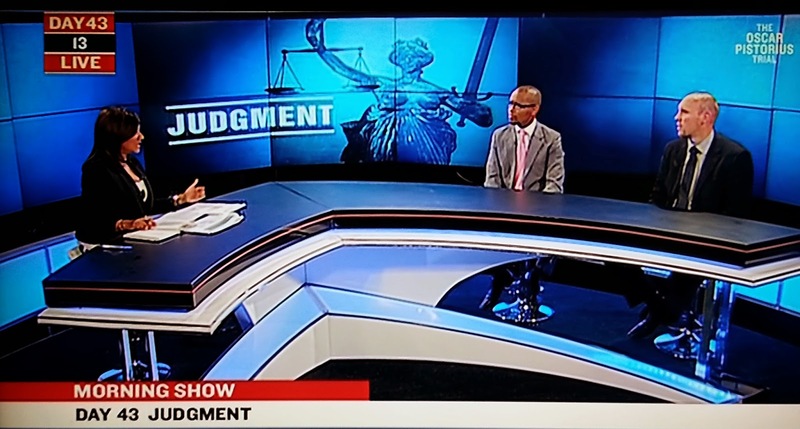 "The channel has set-up a panel of respected legal experts, social commentators with some studio-based and some on location at the High Court," says Patrick Conroy, the managing director for eNCA. 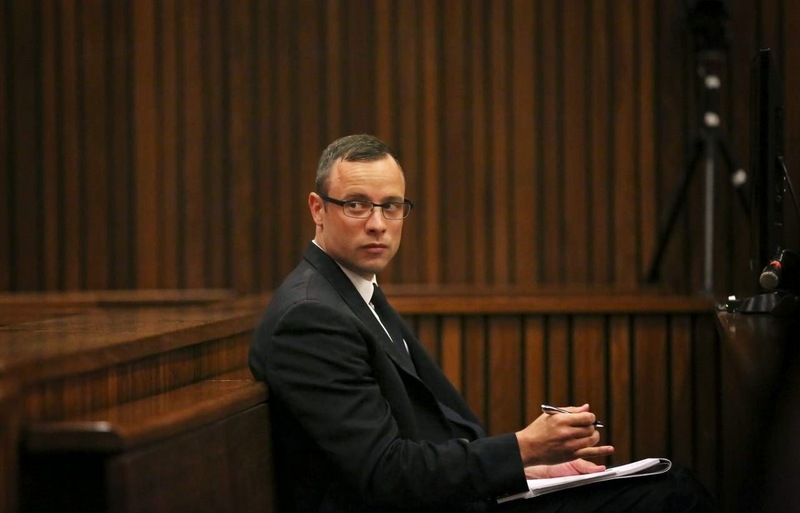 DStv's Oscar Pistorius Trial TV channel will start at 08:00 on Thursday. Although not communicated by MultiChoice and Combined Artistic Productions, its highly likely that the channel will remain broadcasting on Friday 12 September as well. Is the clever-cool Connect with Yusuf Omar on eNCA a brand-new (brilliant!) weekly current affairs show just waiting to be born? 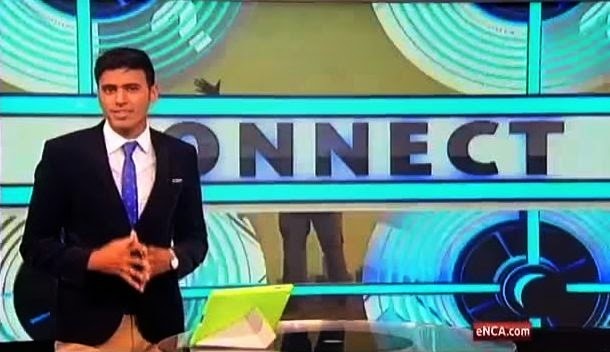 A wonderful, brilliant and amazing thing happened on eNCA (DStv 403) this morning at 09:00 when what looks like a brand-new and great new show, Connect with eNCA reporter Yusuf Omar suddenly were broadcast on the South African 24-hour TV news channel. There was no word from eNCA that Connect would be shown today, no information about it, and at the end of business today eNCA didn't respond with any answers to media enquiries asking for more information about it (although eNCA promised more information on Thursday). Connect on eNCA with Yusuf Omar was shockingly (in a good sense) different. It was refreshingly interesting and fun to watch whilst being informative and made for mesmerising and immersive viewing - from the social media commentary guests chosen to weight in and who appeared via Skype, to the screen-integration used, the "show's" novel camera angles employed, and the whole concept of the "show". Connect, cleverly integrating the memes, themes, technology and style of news gathering and dissemanation used by millions of younger viewers today was only 9 and a half minutes long but was sparkling. It was filled with facts, graphics and colours along with a cool use of the resources of TV news technology to create a type of an "online, real-time" community, one which was sharing insightful commentary and absorbing it at the same time. 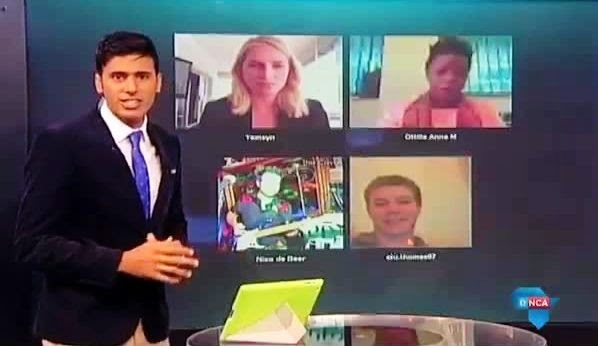 The 4-way simultaneous Skype screen on Connect was cool and gimmicky, but not just gimmicky, and even if it was gimmicky, it was wonderful and new and showed what a South African TV news channel like eNCA is now actually really capable of doing if it tried. While the weekly Maggs on Media on eNCA on Sundays with Jeremy Maggs is a round-up of media news with great and comprehensive coverage of the South African media, marketing and advertising landscape - a well-produced weekly programme of record, Connect came across as a perfect "little brother" for almost a younger target market, or a social-media savvy, news consumer market. Cleverly and highly relevant, the "first" topic of Connect was the social media story of the Oscar Pistorius trial or news event. The "show" within a show dissected the news subject from all sides and angles of the social media spectrum with Yusuf Omar making full use - and to great effect - of the wall screen, complete with preppy lime green tablet in front of him. Connect on eNCA was cool television - like Al Jazeera's The Stream and Russia Today's Breaking the Set with Abby Martin, - something never yet seen on South African television but seen today and attempted (with success) for the first time on South African TV news. It was an even better version of The Oscar Pistorius Trial TV channel's now-defunct Social Media Analysis Show which was broadcast at 18:00 while the trial was running and which was anchored by Emma Sadleir. That show was the second most watched show on that DStv channel. BREAKING. Platco Digital's OpenView HD adding Christian TV channel, Relevant TV, from 15 September to channel 253. Platco Digital's OpenView HD (OVHD) is adding Relevant TV as a brand-new Christian TV channel from Monday 15 September on channel 253 which will broadcast for 24 hours per day. Relevant TV calls itself a "non-denominational, multi-national Christian lifestyle TV channel" and has Joshua McCauley as founder. Relevant TV, primarily targeting young adult viewers, says it will be covering premier conferences from around the world and from local African churches as a free-to-air TV channel, and will also broadcast Christian faith-based, family-friendly movies as part of the weekly schedule. Relevant TV will also aim to broadcast kids programming, music, live events, talk shows and weekly inspirational shows as it covers the whole spectrum of Christianity. TV with Thinus understands that Relevant TV will provide South African viewers with a 6 hour loop of fresh new content on Monday to Friday, and a 12 hour loop on Saturday and Sunday, repeated during the rest of the time. "Relevant TV will bring great content which will motivate and uplift the viewer," says Joshua McCauley. "We strive to bring quality to the Christian TV market that has not yet been experienced in South Africa". "We are proud to welcome Relevant TV to the OpenView HD family," says Maxwell Nonge, the managing director of Platco Digital. "This new addition allows us the ability to offer a Christian TV experience that is in line with our diverse audience and quality programming". 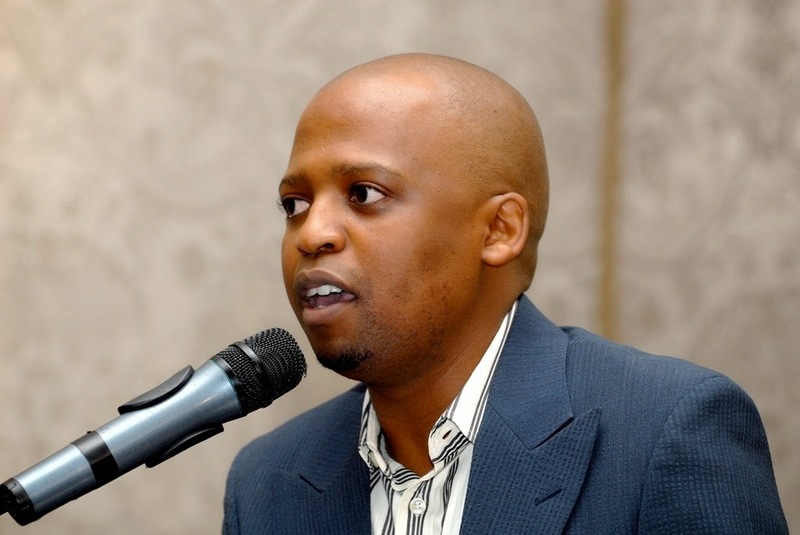 Siki Mgabadeli's new weekday business show on eNCA from 1 October will be called Moneyline. eNCA has refused to divulge the name of Siki Mgabadeli's new half hour business show which will start on Wednesday 1 October at 21:00 on weekdays on eNCA (DStv 403) so TV with Thinus will reveal it: It will be called Moneyline. South African viewers watched a Moneyline of a different kind when CNN International first became available in South Africa on the SABC's then TV1 when Lou Dobbs was the anchor of the daily Moneyline on the channel which was simulcast for a few hours per day. 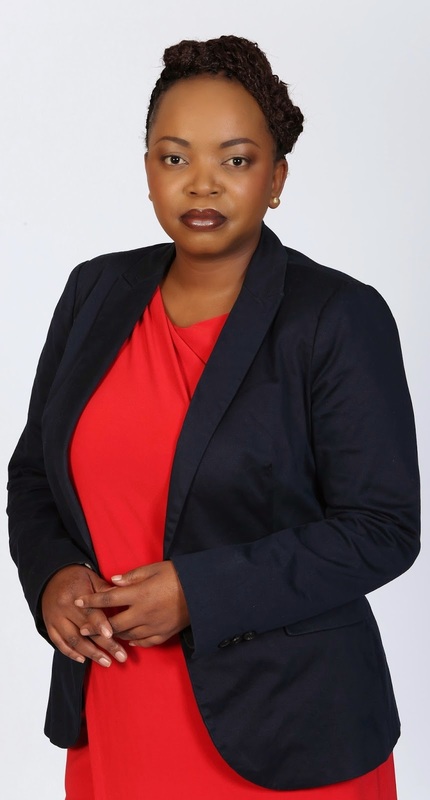 Siki Mgabadeli will anchor Moneyline on eNCA from Mondays to Thursdays as eNCA's new senior business anchor, while Arabile Gumede will be anchoring the Friday night slots. SABC's HD Outside Broadcast vans used tonight for the first time in history in 4 different countries, in 4 different cities across Africa. For the first time in history, the SABC's high definition (HD) Outside Broadcast vans (called OB vans in the biz) will be used in 4 different countries, in 4 different cities, across the African continent for different broadcasters. 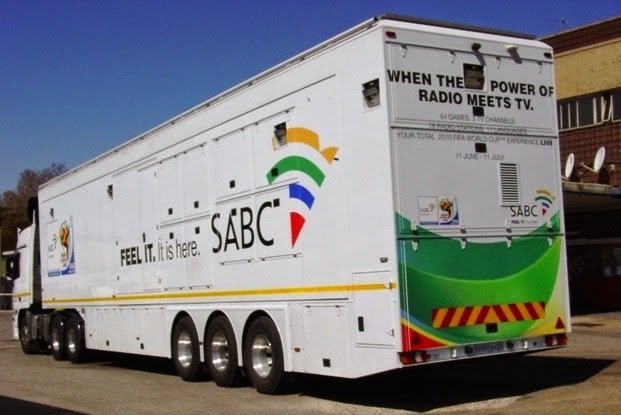 The remarkable achievement from the SABC comes as SABC HD OB vans are stationed in Cape Town in South Africa, as well as in Botswana, Lesotho and in Mozambique to capture and broadcast the AFCON qualifying matches for 2015. Using the SABC's HD OB vans from the South African public broadcaster's Television Outside Broadcast division (TVOB) are the SABC's sports division, SABC Sport, as well as TV Mozambique and Sport 5. These qualifying AFCON matches are also broadcast in Europe with the SABC providing the satellite uplinks. Each SABC HD OB van is manned by around 20 people comprising the technical, production and operational crew. The production crews in the countries outside of South Africa will each be using 6 cameras, slomo and edit fascilities, while the SABC's production crew in Cape Town will be even larger, using 19 cameras, including super slomo's. The SABC says the South African public broadcaster looks forward to being able to broadcast future events of this magnitude as the biggest public service broadcaster in Africa. SHOCKER. MultiChoice's DStv and Disney now targeting very young children with TV commercials on Disney Junior and Disney Channel. The big scary isn't the troll under the bridge: MultiChoice's DStv and The Walt Disney Company is ready to start targeting very young children specifically and little young viewers by adding TV commercials to Disney Junior (DStv 309) and Disney Channel (DStv 303) in a crass commercialisation of kids TV channels parents used to trust for not selling to kids. It's not immediately clear why MultiChoice, DStv Media Sales and Disney are damaging the DStv and Disney brands - names which DStv subscribers and Disney-loving parents have come to trust to be better kids channels - by starting targeted commercials aimed at small children. Disney Channel and Disney Junior had a safer reputation, making parents feel safe and good to allow their tots and teens to watch, knowing that their children are not specifically targeted by advertisers through crass commercials and sponsors. From November Disney's Disneymedia+ will be shamelessly selling to kids as young as 4 watching television with the permission of MultiChoice's DStv when what the TV and ad industry calls "spot advertising" is added for the first time to Disney Channel and Disney Junior which has the youngest viewers. The Disney Channel which is 8 years old on MultiChoice's DStv this month, reaches 287 000 kids between the ages of 4 and 14. Now DStv, Disney and Disneymedia+ are swinging open the doors to commercial advertisers to target these very young viewers with commercial considerations while the little eyes are watching their kiddie shows in front of the telly. Disney Junior which reaches 1.3 million little ones from the age of 4 and up and which launched in 2011, will now bombard some of the youngest viewers on television with commercials and advertising in a disgusting change from November. It's not clear why the monthly subscription fee parents pay to have these Disney channels as part of their DStv package, and which was fine until now without commercials, seems to no longer be enough money and why Disney and DStv want to make even more money from commercials on these kids channels which didn't have it before. Disney XD which has been boy focused with older somewhat older viewers and more action-oriented shows launched in 2011 and has been carrying advertising. MultiChoice South Africa and Disney didn't immediately respond to media enquiries regarding why advertising needs to be introduced on kids channels which were fine without it, whether there is advertising that Disney won't run, and why Disney and DStv is doing and allowing advertising to very small children when it didn't do so before. UPDATE: Disney is responding, and is explaining why Disney is set to start showing TV commercials on The Disney Channel and Disney Junior to young viewers on DStv. Purple-branded VIDI from Times Media Group launches as new streaming video-on-demand (VOD) service with '1 000 hours of entertainment'. Times Media Group (TMG) has launched its VIDI video-on-demand over-the-internet commercial service as a competitor to MultiChoice's DStv BoxOffice and DStv Catch Up services with South African consumers who can rent and watch TV shows and movies for R149 per month or watch blockbuster movies for R27 and older library titles for R15. The R27 per movie that TMG's new purple-branded VIDI is charging is exactly the same as the R27 price tag of MultiChoice's DStv BoxOffice. The Times Group owns TV channels like BusinessDay TV and newspapers like Business Day, The Sunday Times and The Sowetan. VIDI, the Latin for "saw", calls itself an "online streaming TV service built for South Africans" and gives people a 30-day free trial period for its service which is trying to mimic overseas on-demand internet services like Netflix that's not yet been available in South Africa. For the subscription free service users need a credit card and a fast enough internet connection and can stream and watch the content on PC or Mac, as well as smartphones and Apple and Android tablets, or on a TV set through one of these connected devices. VIDI says it is launching with "over 1 000 hours of entertainment". TMG made a deal with Disney's ABC Studios for older already broadcast seasons of drama series and comedies from American studios that's available as ABC on Demand like Grey's Anatomy, Cougar Town, Brothers & Sisters, Pretty Little Liars and Lost. Besides that there's new movie releases, older library movie titles, kids movies and library TV series like Breaking Bad, The Shield and The Tudors, and documentaries like Walking with Dinosaurs - 21 TV series in total. VIDI is ad free and will carry 100 films in deals with studios like Warner Bros, Sony, Disney, Lionsgate and Relativity with more which will be added in future. It's not clear what the internet data size will be for a 40 minute TV show or a 90 minute movie using VIDI which is making use of Microsoft Silverlight as its player technology. It's not known whether VIDI content will be available and streamed in high definition (HD) or standard definition (SD), or a combination. South Africa's foray into online video streaming and on-demand television services remain hampered by slow broadband, limited broadband penetration, as well as exorbitantly high costs for consumers. It led the satellite pay-TV platform MultiChoice to develop the DStv Explora decoder as a way to try and circumvent someof these issues by mimicking a VOD service through the PVR, using a direct-to-home (DTH) satellite service.